As we all probably already know, change is inevitable and many times a change is as good as a rest. These sayings are just as true when it comes to changing the design of your home as they are for many other areas of life. Sometimes even the most subtle of changes within your home and its surroundings can make all the difference. Such changes my give your home a new lease of life and even improve its market value if you are thinking about putting it up for sale. Changes evoke feelings of newness and freshness and it will affect the people living in your household in a positive way. It is important that you undertake any sort of changes and redecorating with a clear idea and vision of what you want to do and the final look that you are aiming to create. Truth be told, we are not all natural designers and that’s why you sometimes have to seek information and inspiration ideas from people who know better than us. The best place to look for such information would be to read or browse through the pages of home and design magazines. Disclaimer: This ranking was made through available information to author and is meant to be another source of information only. It is not advisable to solely rely on this article for any decision making. This magazine was launched in the year 1996 and is published bi-monthly. Since its first publication it has been the market leader when it comes to all matters designs for the upper end residences. The magazine is run by a dedicated and committed editorial team and the magazine is always packed with newsworthy news stories and unique features to boot. The magazine seeks to educate its readers on the current home design trends and seeks to give direction for those who are looking for a new way to do things. The Home Design magazine also features full length profiles of different types of residential and building architecture, bathrooms, living rooms, kitchens and the outdoors from different homes all over the world. The magazine is published in Australia and is written to inspire and inform audiences from all corners of the world. The main target audience is people who seek style, uniqueness and high quality. This magazine was initially published in the United Kingdom but is currently located in New York. It is published courtesy of Hearst Communications and is the go to place for people who want to find new ideas and fresh tips on what they can do to improve their interior design. House beautiful also runs an online edition of the magazine to ensure that it is available to all audiences. The magazine is a mix of all things homely and design. Featuring on the magazine are paint color ideas, how to articles for practically everything, unique recipes, makeover tips, product reviews and of course home and decor tips and ideas. It is a must have read for someone who wants a magazine that has everything all in one place. Since its first publication back in the year 2006, the Old House Journal is the reading resource for people who want to learn more about restoring and maintaining old houses. Truth of the matter is that old is gold, but it will not be gold for much longer if it is not properly maintained. The magazine is a gem for people who are looking for the rights services and products tailor-made to work for homes that were erected in the years preceding 1950. It would be a shame to bring down an old house just because the years have gone buy. Much as some things in the house may become run down, the good news is that they can be restored. The correct tools, products and expertise is an important consideration to think about when you want to redecorate an old house. The magazine features flooring, interiors, hardware, ceilings, paintings, arts & crafts, plumbing, old house-style living, log homes, windows, tools and anything related to an old home. It also has information and contact details on different suppliers who deal specifically with the restoration of old houses. Chances are you have already seen or heard about Elle Magazine. After all it seems like it is always in circulation. The editorial team at Elle Decor makes sure that the magazine is out at 10 issues every year. The magazine is fully dedicated to issues regarding home decoration and it’s a magazine with international repute. In it you will find detailed articles on architecture and interior design. The magazine also carries interviews with influential designers and helpful shopping guides plus a lot lot more in every issue. Heart Home is a British magazine that run its first publication in the year 2011. The magazine tugs away at the hearts of British homeowners by offering its readers about unique interior designing decor and styles. The magazine is published quarterly and showcases independent and versatile British interior designers and challenges its readers to find their own unique style and get started on implementing it. Just like the name of the magazine suggests, the Family Handyman Magazine is all about do-it-yourself projects with detailed and simple instructions with pictures to suit. It’s really a unique magazine and is published courtesy of the Reader’s Digest Association. The magazine covers different projects and how to follow through the entire creation from the beginning to the end. This magazine is a must have for DIY enthusiasts or anyone who thinks they are cut out to undertake projects at home. This is another well-known magazine that in essence covers all aspects of home living. It’s a magazine full of inspirational ideas for designing, gardening, cooking, decorations and so much more. The layout is simply appealing to the eye and the text is also very easy to read and understand. The Martha Stewart Living Magazine is published 12 years every year and is a must have for anyone who wants to have a nice read on matters of the home and not only on home designing. Just like the title of the magazine suggests, the magazine is dedicated to reaching out to the Atlanta community and those in its environs. The magazine i publishes 12 issues every single year and in each publication readers can expect to read about high end home design styles, landscaping and stylish decor. Cover is released four times every year. It is fairly new in the market and solely dedicates its pages to talk about the different carpet designs and the different textiles in the market. 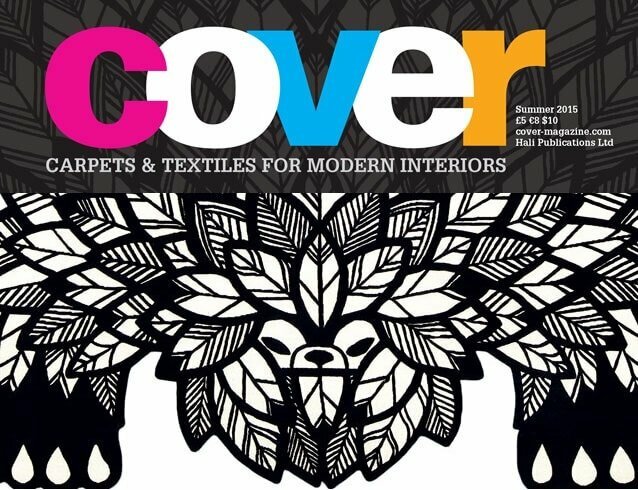 The Cover talks about the new and up-coming trends and speaks about all covers that cover all types of surfaces. The Cover also covers art & crafts and how to create new and unique styles that would g along with the interior design theme you have within your home. Readers can expect to get inspiration from different places in the world and get information on how to make the different styles work for your home. The Dwell Magazine is known by its readers for articles about modern architecture styles, bathroom and kitchen furniture and styles, newest designs and so much more. Also a must have for someone looking for fresh ideas and never seen before inspiration.